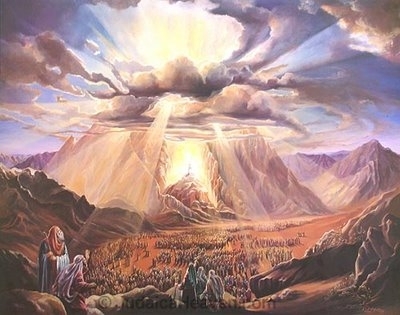 As Shabbat ends this week, we will usher in the holiday of Shavuot, commemorating the day on which G-d gave us the Torah on Mount Sinai 3327 years ago. After a miraculous exodus from Egypt, G-d asked us for our ‘hand in marriage’ at the foot of Mount Sinai. It was at this mountain that we exchanged our vows: G-d guaranteed our eternal and immortal existence for all times as His chosen People and we, in turn, took an oath to remain faithful and loyal to our spouse by observing His Torah and mitzvahs. Couldn’t G-d have picked, perhaps, a more appropriate or romantic location on which to hold this eternal union and marriage with Israel? The desolate and barren Sinai Desert hardly seems like an ideal location?!? Yet, as in every facet of our Torah, there is a profound and insightful lesson being expressed precisely by the location at which G-d chose to give the Torah – a desert. A desert is ‘no man’s land’. No one can claim ownership or rights to it. And the same holds true of our Torah. Each of us has inherited an equal right, claim, and connection to the Torah. Each and every one of us can have a personal and intimate relationship with G-d Almighty through studying the Torah and observing its mitzvahs. The rabbi and businessman, the yeshiva student and college student, the newborn child and the grandparent – we each have inherited this precious gift that connects us with G-d. It’s an ‘equal opportunity’ Torah! While 50% of marriages end in divorce these days, the wedding ceremony between G-d and Israel in the Sinai Desert produced a passionate marriage that is very much alive today as 3327 years ago. Sure, we have had our fair share of friction with G-d. Yes, it’s not always been blissful. He has gotten angry and frustrated with us on occasion. True, we have not always been loyal and faithful. And of course, we can each do more to be a better spouse, but the very fact that you’re reading this blog post today is the greatest testament to the enduring strength of our eternal relationship. 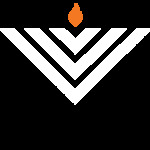 And so, as we are about to approach our 3327th wedding anniversary, we are called upon to reignite our innate passion and love that we each possess for Judaism, G-d, and his Torah. Please don’t miss this auspicious opportunity. This Sunday at 1:00 pm come (together with your family and friends - especially with children) and listen to the reading Ten Commandments. Together as one community we will recreate the energy and feelings of that awesome wedding ceremony in the Sinai Desert. Mushkie, Chana, and Shirah Yocheved join me in wishing you a Shabbat Shalom and a Chag Same’ach, may we merit to joyously receive and internalize the Torah!